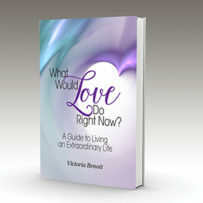 This 12-session experiential forum is based on Victoria’s bestselling book, What Would Love Do Right Now? Throughout the forum you will enhance relationships; resolve past, present, and future conflicts; as well as achieve your creative and spiritual purpose in life. You will be able to release and heal the pain and suffering from past heartaches, disappointments, and failures that undermine your ability to manifest your dreams and that prevent you from loving the life you were born to live. $120 non-refundable. Seating is limited to 12. We will be meeting near MetroCenter — bring a spiral notebook and your own copy of Victoria’s book which is available on Amazon. May this book motivate you to look at your life and evaluate where you are in relation to love and living from the essence of love. I believe that asking the question what would love do right now?—in any circumstance—will expand your experience of love. For example, when you are in a situation where you feel so angry you want to explode, if you would just stop and ask yourself, “What would love do right now?” you will usually do something more loving than you would have done without asking the question. You may not do what Mother Teresa would have done, but you will do something more in alignment with who you really are. You will then be able to respond to life rather than react to it. 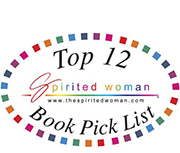 As you use this book to evaluate your career, relationships, finances, health, and other areas of your life, you will begin to BE LOVE, rather than love being something toward which you are striving. Bring love to a situation and notice how others around you change, because you are different. May the wisdom inside you take you on a journey into your heart where your greatness abides. Now, that’s living a heart-centered, extraordinary life!